Home Health Care Investigations Defense Attorneys - Oberheiden, P.C. Oberheiden, P.C. is a health care fraud defense firm that represents physicians and business owners in home health care investigations, ZPIC audits, and criminal cases. The combined experience of our attorneys includes hundreds of health care fraud audits and investigations, dozens of federal health care trials, and an impeccable track record of successful case outcomes for physicians and health care business owners across the United States. Our team consists of high ranking former Medicare prosecutors, former Department of Justice trial attorneys, former Special Assistant United States Attorneys (SAUSA), and attorneys that have spent their careers defending individual and corporate health care clients. Is your business under investigation? Did you receive a subpoena or ZPIC audit request? Did CMS stop paying you? Is the government accusing you of overpayments or health care fraud? Is the government sending agents to interview you and your staff? Did someone get arrested? Is it time to get a lawyer? The government has dramatically increased the number of home health care investigations recently. The Department of Health and Human Services (HHS) has partnered up with the Office of Inspector General (OIG), the FBI and various Medicaid Fraud Control Units (MFCU) to investigate and prosecute medical providers and business owners of home health care facilities. While the government dedicates particular law enforcement attention to certain communities (e.g. Miami, Detroit, Chicago, Dallas, Houston, Las Vegas, Orlando, San Diego, Phoenix, Provo, and Ada), hardly a day goes by without news about fraud and arrests in the home health industry. With punishments ranging from severe civil penalties to years of imprisonment, choosing an experienced attorney is absolutely critical to protect your business and to preserve your license and your freedom. Clients of Oberheiden, P.C. are represented by senior attorneys with exceptional backgrounds and expertise. We recognize the importance of each matter and offer our fullest attention to your case. Speak to attorney Nick Oberheiden today to obtain a free and 100% confidential case assessment. Oberheiden, P.C. has gained a reputation as a trusted advisor for individuals and businesses involved in home health care. This trust is based on five key factors. Attorneys in our Health Care Practice Group offer decades of government and private practice experience. Our attorneys don’t focus on assault cases; we don’t work on DUIs. We are health care law defense attorneys that understand all nuances of the home health industry. Health care law is what we do. We advise and defend medical providers and business owners and explain how to follow Medicare rules. Those clients that contact us because they were accused of a Medicare mistake can rely on decades of experience as Medicare prosecutors. Prosecutors know us and we are always ready to vigorously defend our clients. If your practice or company needs guidance on complying with Medicare or other federal health care regulations, we can help. If you are facing a federal investigation, our former Department of Justice health care fraud prosecutors can protect you and your business against unfair charges. Many of our attorneys come from distinguished and senior positions within the Department of Justice and local U.S. Attorney’s Offices. As a result, we can see your situation from the government’s perspective, and we can apply those insights to pursue a thoughtful and effective defense strategy. We are proud of our track record. Our attorneys have helped many clients from across the United States to end up with no civil and no criminal exposure. In fact, we have accomplished great results in what initially appeared to be almost hopeless situations. We have turned targets of federal health care fraud investigations into witnesses, we have negotiated civil penalties from millions to nominal fines, we have convinced prosecutors to move on to other matters, we have made sure our physician clients maintained their licenses, we have successfully argued that health care law defenses and exceptions apply to our clients’ situations, and we have saved our clients decades and decades of jail time by choosing the right defense strategy. Just like the government works in a team of agents and lawyers, we offer clients a defense team comprised of experienced and talented attorneys. At Oberheiden, P.C., the attorneys in our Health Care Practice Group work together to accomplish the best results for our clients. We empathize with our clients that are going through an investigation or an indictment. Federal investigations are among the most stressful events in anyone’s life and we see ourselves not just as lawyers but also as counselors with an open ear for our clients. We want to connect with the people that trust us with their lives as much as possible. Our clients are not walled off by secretaries, paralegals, or junior lawyers. You will have immediate and all-time access to the leader of your case. We don’t delegate your case, we don’t assign it to someone else, but we stay on it from day one. Many past clients have told us that this level of commitment and the ability to communicate with “their” attorney whenever a question or an issue arises was extremely comforting. When you choose Oberheiden, P.C., you can rest assured that your legal team is doing everything possible to protect you, your business, and your family. The former federal prosecutors and attorneys of Oberheiden, P.C. are available to discuss your case. Don’t let the situation get out of control and don’t let the government build a criminal case against you. Call us today and let us identify your options. What Are the Core Allegations in a Criminal Home Health Care Investigation? Simply put, home health care investigations claim violations of Medicare rules and regulations. In the context of home health care, Medicare fraud refers to the submission of false or fictitious claims to the Centers for Medicare and Medicaid Services (CMS). While Medicare fraud has many facets, all descriptions have in common that a health care provider (physician or a business) received Medicare reimbursement unlawfully. According to a recent publication by the Office of Inspector General (OIG), federal agencies focus on five factors to determine whether a home health care business is involved in fraudulent activity. Auditors and investigators pay particular attention to facilities that present a high percentage of a primary diagnosis of diabetes or hypertension, a high percentage of patients with multiple home health readmissions in a short period of time, or a high percentage of episodes that were not preceded by a hospital or nursing home stay. In many home health care care cases in which we represent clients, the government alleges that once a patient was declared homebound, that diagnosis became permanent and the re-certification never took health improvements into consideration; in other words, the government appears to suggest that being homebound is not a permanent but a temporary assessment and that home care treatment quickly reaches the point of medically unnecessary. We understand that it appears arbitrary for someone who is essentially a data programmer to determine whether your business should be investigated for fraud. At Oberheiden, P.C., we represent home health care providers and business owners with trained and proven skillsets against mathematical prosecutions by the government. We encourage you to speak to Nick Oberheiden today to obtain a free and 100% confidential case assessment. Pursuant to the Social Security Act, section 1814(a)(2)(C), 1835(a)(2)(A) (42 U.S.C. §§ 1395f, 1395n, to be eligible for Medicare home health services, the following requirements apply. The Patient Must Be in the Care of a Recognized Medicare Home Health Agency (HHA). Put simply, the term “confined to the home” means that a patient suffers a condition that makes leaving the home either medically contraindicated or requires special help and assistance in form of canes, wheelchairs, walkers, the use of special transportation, or the assistance of another person to leave the residence. Alternatively, a person may be “confined to the home” if a normal inability to leave home exists and leaving home requires a considerable and taxing effort. Absences from the home for patients declared homebound must be rare and should only occur for specially recognized occasions and short term events such as attending church, funerals, or other specially justified trips. It is important for physicians and home health agencies to understand that, in a fraud investigation, the government will not just interview patients to see if they are in fact suffering a medical condition rendering them homebound, but also use surveillance to document if a patient frequently leaves the home and thereby suggests that the certification or recertification of being homebound was erroneous and Medicare payments and benefits received were fraudulent. The Medicare home health eligibility standard requires that the patient is in need of the following treatment services: (1) less than 7 days a week or less than 8 hours each day for periods of 21 days or less of skilled nursing care; (2) speech language pathology services; (3) physical therapy; or (4) continuing occupational therapy services. Eligibility for home health care services requires that the patient is under the care of a physician (who is enrolled and accepted as a Medicare provider). Applicable CMS regulations define a “physician” as a doctor of medicine, doctor of osteopathy, or a doctor of podiatric medicine. The physician must establish a plan of care that he or she personally monitors, supervises, and reviews on a regular basis. Pursuant to 42 C.F.R. § 424.22(d)(1), the physician must not have a financial interest in the treatment or a financial relationship with the home health agency unless specific exceptions apply. The law defines a financial relationship as follows: (1) a direct or indirect ownership interest in any entity that furnishes designated health services or (2) a direct or indirect compensation arrangement with an entity that furnishes designated health services. 42 C.F.R. § 411.354. A recertification must occur at least every 60 days after an initial 60-day certification period. Recertifications are indicated when, in the professional judgment of the treating and reviewing physician, a need for additional and continuous home health care exists; in other words, all the conditions that initially led the physician to certify that the patient qualifies for home health care must continue to exist. The physician must sign and date the recertification decision. 42 C.F.R. § 424.22(b)(1). In almost every home health care case that we assist with, we notice that there is a great deal of confusion as to what degree a physician must be involved in the actual patient care. Under many home health care models, nurse practitioners and other mid-level medical providers serve as the physician extender and provide all the day-to-day service and treatment. Pursuant to 42 C.F.R. § 424.22(a)(1), the physician’s clinical notes must document that a face-to-face encounter (1) occurred no more than 90 days prior to the home health start of care date or within 30 days of the start date of the home health care, (2) was related to the primary reason for the home health services, and (3) was performed by a physician or an allowed non-physician practitioner and (4) was done by a qualifying medical provider who has no financial interest in the treatment or financial relationship with the home health care agency. 42 C.F.R. § 424.22(d)(2). From a practical perspective, physicians should find an appropriate way to satisfy the face-to-face encounter requirement without creating suspicion or negative perception by Medicare law enforcement. The documentation of the face-to-face patient encounter must be dated and signed by the certifying physician. Id. § 424.22(a)(1)(v). If the certifying physician delegates the face-to-face encounter, the non-physician practitioner or the physician who cared for the patient in an acute or post-acute facility performing the face-to-face encounter must communicate the clinical findings of that face-to-face patient encounter to such certifying physician. Id. § 424.22(a)(1)(v)(A). What Are the Penalties for Civil or Criminal Health Care Fraud? The Centers for Medicare and Medicaid Services (CMS) in connection with the Department for Health and Human Services (HHS), the Office of Inspector General (OIG), the Department of Justice (DOJ), the Federal Bureau of Investigation (FBI), and Medicaid Fraud Control Units (MFCUs) investigate and prosecute civil and criminal health care fraud. 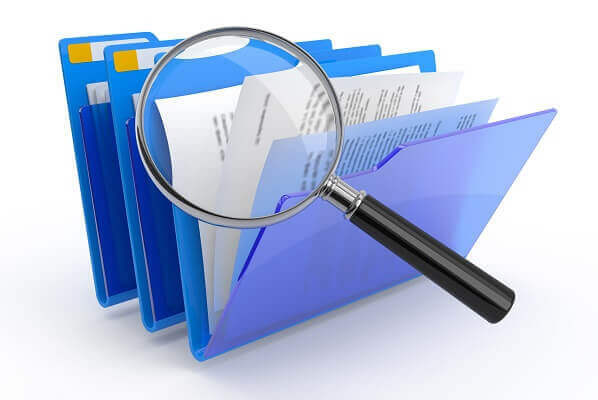 A civil investigation of a home health care agency may be the result of a ZPIC audit that concluded that certain patient files contained inappropriate billing patterns or codes. Most civil investigations in the context of home health care agencies arise under the federal False Claims Act. The False Claims Act essentially states that claims submitted to Medicare that are “false” may trigger monetary penalties and restitution. The damage model under the False Claims Act is draconian. Home health care agencies may be liable in the amount of up to $ 11,000.00 for each falsely submitted claim. Additionally, the False Claims Act calls for attorneys’ fees and other fines, including a suspension or removal from the accepted Medicare provider list. In light of these severe penalties, home health care agencies should contact Oberheiden, P.C. and rely on their substantial experience and profound track record in federal False Claims Act investigations. Even worse than the above-mentioned civil liabilities are criminal prosecutions of medical providers and business executives affiliated with home health care. It is not always clear at the beginning of an investigation whether a case is civil or criminal in nature. Absent clear indications of a criminal case (e.g. the government executes a search warrant or arrest warrants), it is the task of experienced attorneys to interpret the government’s strategy. The mere fact that the FBI is involved or that law enforcement interviews former employees is insufficient to safely declare the investigation criminal in nature. Don’t let this happen to you. Oberheiden, P.C. represents home health care clients in civil and criminal investigations with the experience of former U.S. prosecutors and based on defense strategies that have proven correct for a great number of physicians and business owners. Clients know that when everything is on the line, Oberheiden, P.C. will find the right solution. Call us for a free and 100% confidential consultation today and find out how we assess your situation. How Do I Find a Federal Health Care Law Trial Attorney? Many people approach us because they vigorously reject the government’s fraud claims. They have done nothing wrong and they simply cannot sign papers that would concede that they did do something wrong and that they did so willfully and intentionally and that they are now guilty of a crime. The U.S. justice system supports this position. Every person is presumed to be innocent and every person accused of a federal crime has the right to a jury trial. While the government has the burden to convince all twelve jurors beyond a reasonable doubt that our client violated the law, we, on behalf of the client, must only convince one single juror that the government did not meet its burden of proof. While convincing one versus twelve people sounds like an easy task, it is important to understand that federal health care fraud criminal jury trials are among the most complicated trial practices there is. The skills required are not just courtroom dominance and the ability to connect with the jury, but also a profound understanding of the underlying health care laws, Medicare rules, and CMS regulations. If the client’s lawyer does not get it, how then will the twelve jurors be able to follow the case and hold in the defendant’s favor? Indeed, there are very few lawyers nationally that take on a health care fraud trial and there are even fewer that have done so repeatedly. Finding a qualified health care fraud defense trial lawyer is not easy (unlike finding an unspecialized criminal defense lawyer), and no client should be part of a lawyer’s experiment. Your freedom and your family life are too valuable to take a chance. When you are interviewing lawyers you should insist on finding out what specific health care law and trial experience your potential legal advisor has, by asking the following questions. How many federal health care fraud cases have you handled? What is your defense experience with health care fraud conspiracies? What is your specific experience with home health care laws? Will there be junior lawyers on my case or will everything be handled by senior attorneys? Are you familiar with home health care? What is your understanding of 485s? What are the available defenses if we take the case to trial? Being represented by attorneys with a distinct trial background helps in at least two ways. One, if you go to trial you know that you are in the best hands possible. Two, even if you don’t go to trial, the government will understand that the health care fraud trial lawyer that you chose is very capable of going to trial, if needed. With that in mind, a prosecutor will see the trial skills and trial reputation of your attorney. It may create doubts. Is my prosecution case really as strong as I thought? Impress the prosecutor with your choice of an excellent health care law trial attorney. Put yourself into the shoes of the prosecutor: after all, which prosecutor wants to go to court against former DOJ leaders and supervisors? Which prosecutor can actually compare his or her trial resume to the attorneys at Oberheiden, P.C.? Don’t feel pushed to run into a plea of guilty. While cooperation with the government and plea agreements may sometimes the best option to mitigate penalties, make sure you first put yourself in the best negotiation position. The stellar trial record of your attorney of choice must always signal: if the terms and conditions of the plea offer are unacceptable, I could also go to trial! The attorneys of Oberheiden, P.C. are health care fraud trial attorneys. Our attorneys combine decades of federal trial experience with specific familiarity of health care law. Get decades of presence and dominance in federal courtrooms and a combined 100 years of federal trial experience gained at the Department of Justice on your side! Home health care investigations are serious business. Regardless of whether your business is going through a Medicare audit or is the subject of a criminal investigation, you cannot afford to lose and that means you cannot afford to experiment. From day one you need lawyers that understand the situation. Moreover, you need lawyers that are familiar with all applicable rules and regulations of the home health care industry. Without such knowledge, how could a lawyer possibly advise you on the laws, and how could such lawyer possibly identify applicable health care law defenses for you? Home health care defense work is no task for an ordinary criminal defense attorney. What you need is a health care fraud legal defense attorney. Think about it and call the experienced attorneys at Oberheiden, P.C. for a free and absolutely confidential consultation today. Q: Why Are Home Health Care Companies So Often Under Federal Investigation? In the old days, people and health care businesses were investigated because the government had reason to believe that there was something wrong. Today, the government has essentially put all Medicare providers, certainly those that are successful and that submit claims on a regular basis, under general suspicion. The mere fact that your business is among the most successful ones in your zip code or your county alone can prompt state or federal agencies to conduct an audit on your practice. Success creates suspicion. In addition to this new data analysis, we see on a regular basis how former disgruntled employees or competitors file complaints against health care practices and thereby force agents to open a fraud investigation. Q: What Are Some of the Most Common Issues in Health Care Fraud Investigations? Q: What Are Defenses to Health Care Fraud? Few people violate the law intentionally, but good people can still make mistakes. We all make mistakes. Our job as your lawyer is to hear your side of the story and to persuade the government that while mistakes might have occurred, these mistakes were the results of staff errors and organizational deficiencies—not as a result of a willful and deliberate conspiracy to defraud the government. As we learn more about your situation, we will be able to identify all of the defenses you have available. Smart lawyers listen to their clients and hear their side of the story. Each client story offers defenses and avenues to improve a client’s situation. So, let’s talk. We are curious to hear about your case. Q: When Should I Seek Legal Representation? The primary benefit of seeking legal representation during your investigation is to avoid criminal charges. We want to resolve your case as quickly as possible, and this means terminating the investigation before fines and prison time are on the table. By seeking legal representation early, you put yourself into a position to better control the case and its outcome because you have interrupted the government and you are able to present your side of the story to eliminate potential misperceptions. Medicare Fraud Investigation by the U.S. Attorney’s Office and the Federal Bureau of Investigation Against Our Client. We Were Able to Convince the Government to End the Investigation After Providing Detailed and Convincing Reasons that Our Client Complied With All Relevant Medicare Laws and Regulations. We Were Able to Successfully Defend Our Client and the Case Resulted in No Civil and No Criminal Liability for Our Client and Any of Its Principals, Directors, Employees, and Otherwise Affiliated Individuals. Medicare Fraud Investigation by the FBI in Connection with the Office of Inspector General Against Our Client. We Were Able to Convince the Government that Our Client Complied with the Applicable Medicare Rules and Regulations. We Were Able to Successfully Defend Our Client and the Case Resulted in No Civil and No Criminal Liability for Our Client and Any of Its Principals, Directors, Employees, and Otherwise Affiliated Individuals. Medicare Fraud Investigation by the Department of Health and Human Services in Connection with the Department of Justice Against Our Client. We Provided the U.S. Attorney’s Office Specific Medicare Law Exceptions and We Were Able to Convince the Government to End the Investigation. We Were Able to Successfully Defend Our Client and the Case Resulted in No Civil and No Criminal Liability for Our Client and Any of Its Principals, Directors, Employees, and Otherwise Affiliated Individuals. Medicare Fraud Investigation by the Department of Justice and the Office of Inspector General Against Our Client. We Were Able to Convince the Government to End the Medicare Fraud Investigation After Providing Detailed and Convincing Reasons that Our Client Did not Do Anything Wrong. We Were Able to Successfully Defend Our Client and the Case Resulted in No Civil and No Criminal Liability for Our Client and Any of Its Principals, Directors, Employees, and Otherwise Affiliated Individuals. Medicare Fraud Investigation by Various Federal Law Enforcement Agencies Against Our Client. We Were Able to Convince the Government to End the Investigation After Providing Compelling Health Care Law Reasons that Our Client Was not at Fault. We Were Able to Successfully Defend Our Client and the Case Resulted in No Civil and No Criminal Liability for Our Client and Any of Its Principals, Directors, Employees, and Otherwise Affiliated Individuals. Medicare Fraud Investigation by Various Federal Law Enforcement Agencies Including the Headquarters of the Department of Health and Human Services and the Office of Inspector General in Washington D.C. Against Our Client. We Were Able to Convince the Government to End the Investigation After Providing Compelling Health Care Law Reasons that Our Client Did Comply with Relevant Laws and Regulations. We Were Able to Successfully Defend Our Client and the Case Resulted in No Civil and No Criminal Liability for Our Client and Any of Its Principals, Directors, Employees, and Otherwise Affiliated Individuals. Medicaid Fraud Investigation by Various Federal Law Enforcement Agencies Including the Headquarters of the Office of Inspector General in Washington D.C. Against Our Client. We Were Able to Convince the Government to End the Investigation After Providing Compelling Health Care Law Reasons that Our Client Did Comply with Relevant Laws and Regulations. We Were Able to Successfully Defend Our Client and the Case Resulted in No Civil and No Criminal Liability for Our Client and Any of Its Principals, Directors, Employees, and Otherwise Affiliated Individuals. Number of Federal Criminal Trials That Our Attorneys Have Supervised. Result: Approximately 500 Federal Criminal Trials. Number of Federal Criminal Trials That Involved Health Care Fraud That Our Attorneys Have Supervised. Result: Approximately 100 Federal Criminal Trials. Number of Federal Criminal Trials In Which Our Attorneys Were Lead Counsel. Result: Approximately 80 Federal Criminal Trials. Number of Home Health Care Fraud Trials In Which Our Attorneys Were Involved as Either Supervising Attorney or Lead Counsel. Result: Approximately 50 Federal Criminal Trials. Current Representation of Physician Charged with a Federal Health Care Fraud Conspiracy. Clients contact Oberheiden, P.C. from across the United States to seek reliable and effective advice against potential or pending government investigations. Our attorneys offer decades of relevant government experience— and they include the former chief for health care fraud at the U.S. Attorney’s Office, former Assistant United States Attorneys (AUSA), former Special Assistant United States Attorneys (SAUSA), and other nationally respected health care fraud defense lawyers. No matter what the situation, our attorneys have the experience and skillset to appropriately assess the best options. Medicare rules are complicated and violations can trigger severe penalties. Experience matters! So do not waste your time with junior lawyers or attorneys that first need to research your legal questions.